I hope my sister is learning some new recipes and skills in the kitchen. She can get a little nervous when cooking something she is unfamiliar with, but I see her confidence growing each week! 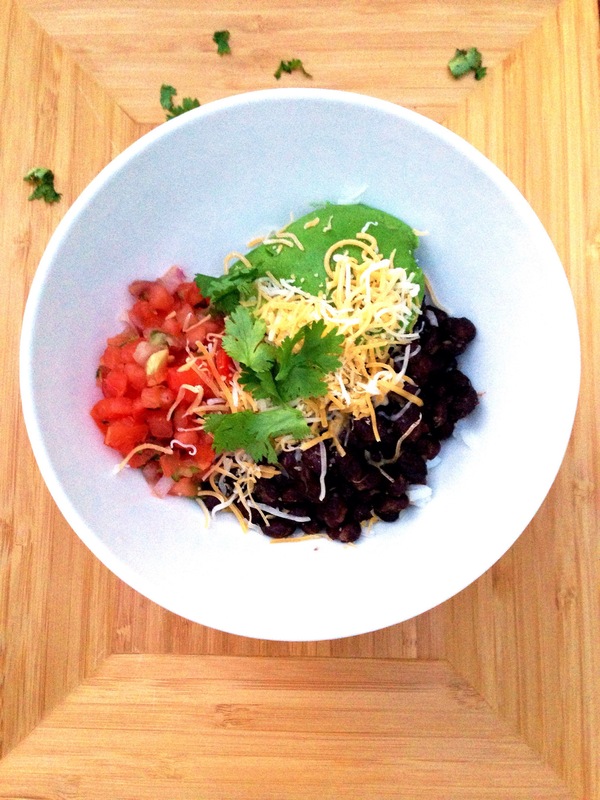 This week we made a veggie burrito bowl with peach salsa. It was so simple, yet had big flavor! 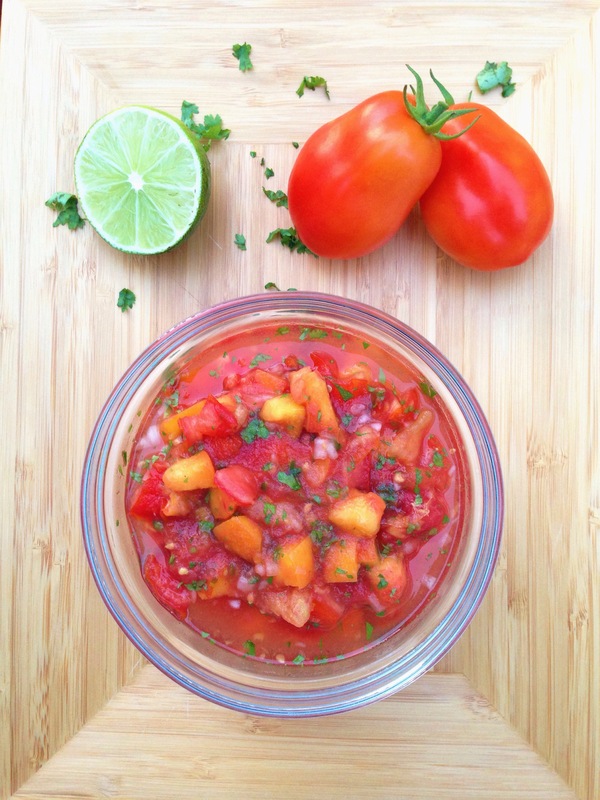 This peach salsa has some heat to it!. You can tone it down or add more depending on your taste buds. All the tomatoes as well as the jalapeno for this recipe came from my garden! This is the first recipe I’ve made with my homegrown vegtetables. I got a feeling there will be many, many more homemade salsas in my future! Add tomatoes to a medium size bowl, add salt and let sit for 10 mintues to collect the juices. Don’t drain! 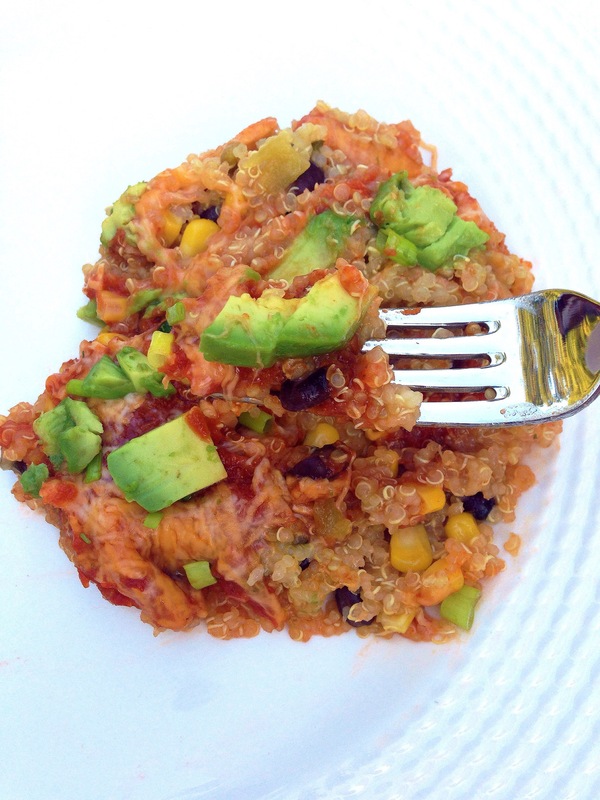 This was a fun dish to cook with my sister and believe me, you will love cooking this too! Who doesn’t love Mexican food! The citrus from the pineapple shines through and pairs great with the cilantro and lime. Your taste buds will thank you! 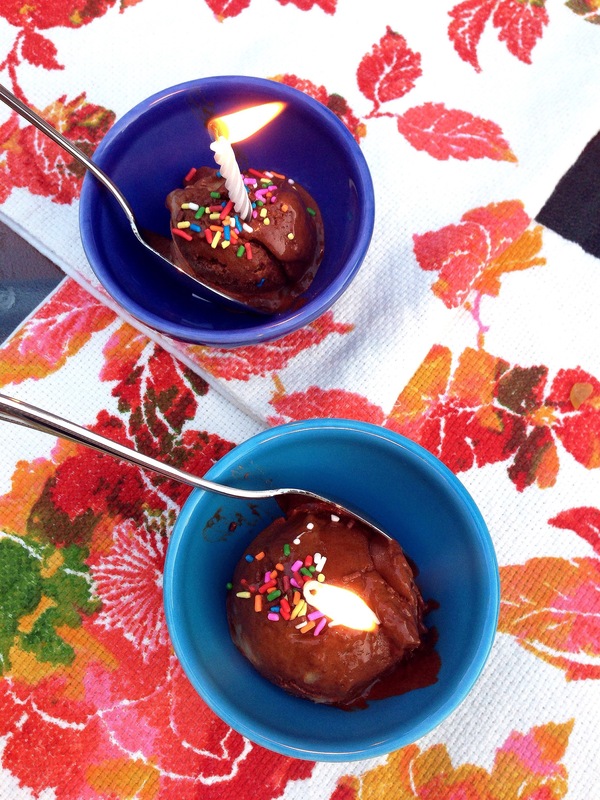 Click here to to read about Cooking with Hope- Margherita Pizza and Pesto Pizza with Spicy Chicken Sausage and Sun Dried Tomatoes and Cooking with Hope- A Birthday Celebration. Monday– Lemon chicken with rosemary potatoes and spinach salad. I grew fresh rosemary in my garden this summer and want to know how many times I’ve used it!?!? ZERO! So I decided it was finally time to make a dinner including this ingredient. Both recipes called for rosemary but required different cooking times… ugh! But instead of baking them at separate times, I cooked them both at 400 degrees for 45 minutes! 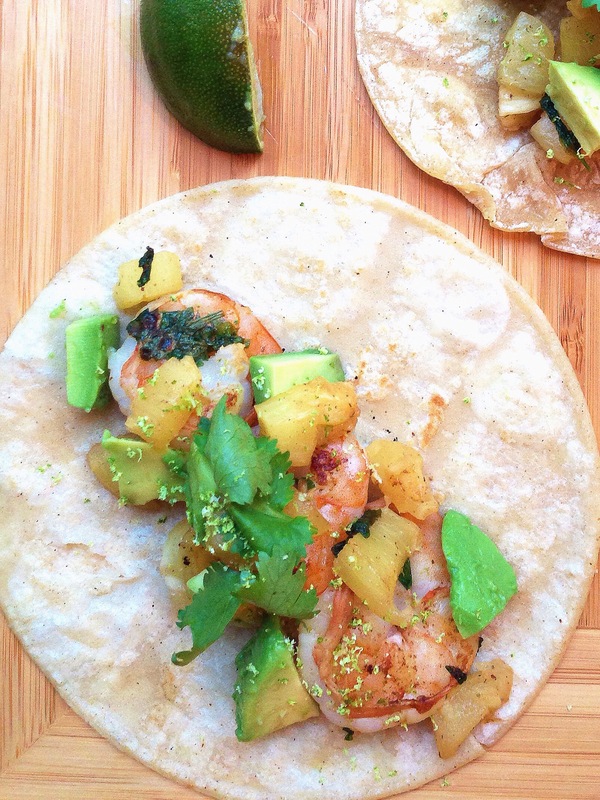 Tuesday- Shrimp tacos with a pineapple salsa. 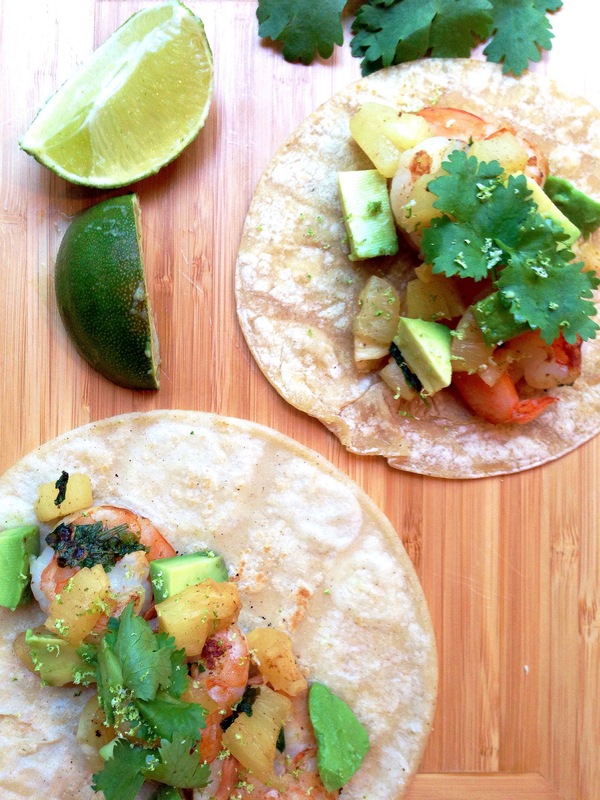 I used the left over pineapple to give these tacos a refreshing touch! More coming soon with Cooking with Hope! Wednesday– Spinach and feta stuffed turkey burgers. They are super easy to make and bonus, I only used 1/2 lb ground turkey, so I froze the other 1/2 lb to use in the future! Thursday– Skirt steak with grilled summer vegetables. I found this recipe in the Aug/Sept 2015 issue of Fine Cooking. It’s a perfect way to use in-season vegetables. 1. Combine the oil, garlic, rosemary, thyme, 1/4 tsp. salt, and 1/4 tsp. pepper in a baking dish or zip-top bag large enough to hold the steak. Add the steak and marinate for at least 1 hour at room temperature. 2. Prepare a medium-high grill fire. Meanwhile, in a small bowl, combine 1 Tbs. of the basil and 1 Tbs. of the oil with the vinegar, parsley, and garlic. Season with salt and pepper and set aside. 3. 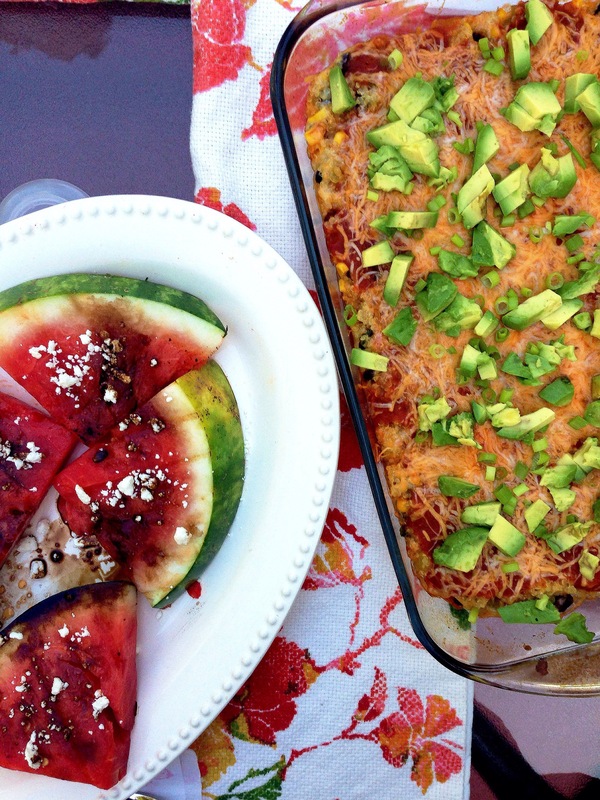 Brush the peppers, squash, zucchini, and corn with 1 Tbs. oil and season generously with salt and pepper. Grill, turning occasionally, until tender with nice grill marks, 10 to 15 minutes. Arrange all but the corn on a large platter and drizzle with the vinaigrette. 4. Remove the steak from the marinade, cut into manageable pieces for grilling, if you like, season generously with salt and pepper, and grill, flipping once, until grill marks form on both sides and cooked to your liking, about 3 minutes per side for medium rare (135°F). Transfer to a cutting board and let rest for 5 minutes. 5. Cut the corn from the cob and transfer to a medium bowl. Add the tomatoes and the remaining oil and basil. Season with salt and gently toss. Spoon half of the corn and tomato mixture over the other vegetables. Slice the steak with the grain into 4- to 5-inch pieces, then slice thinly against the grain and arrange over the vegetables. Scatter the remaining corn and tomatoes over the steak. Sprinkle with the scallions and sea salt, if using, and serve. Friday– Pasta with cherry tomatoes, fresh basil, and fresh mozzarella. 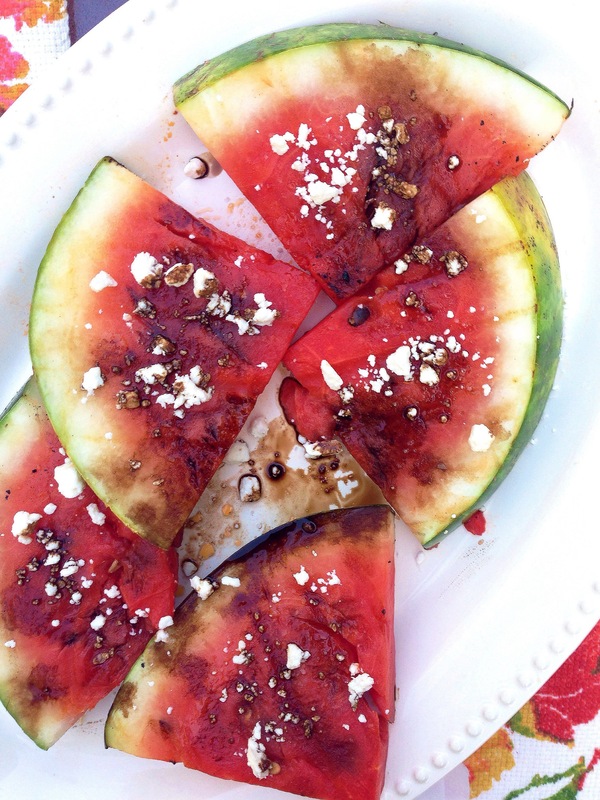 A perfect summer meal! 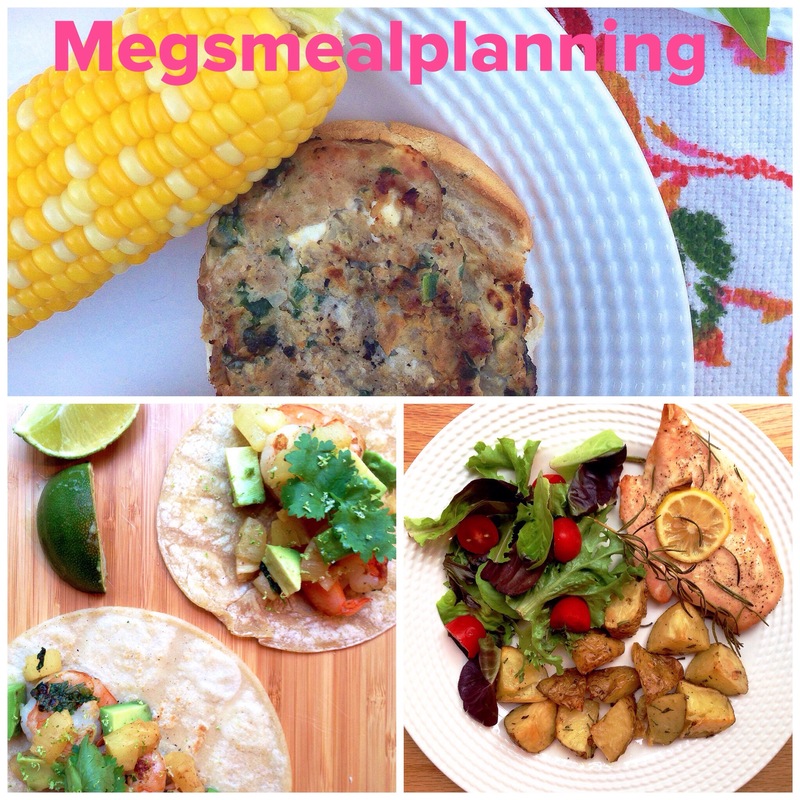 What an adventurous week for megsmealplanning! I only followed 1 recipe all week! 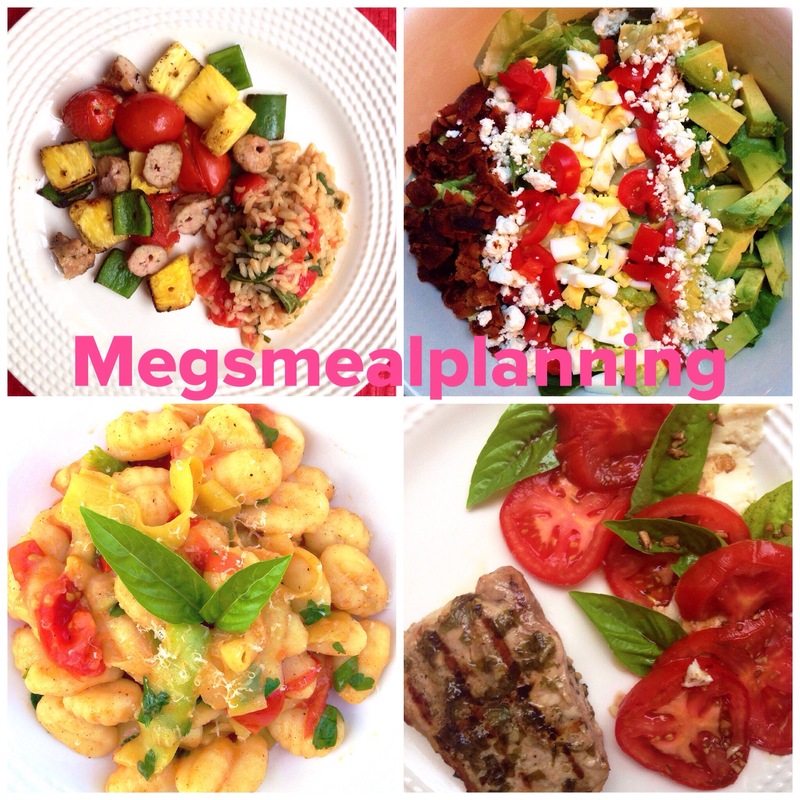 Four of the meals were created by me! Also new this week, I’m going to start including my shopping lists so you can print them out to make it even easier for you at home to try these recipes! The shopping list will be located at the end of every weekly meal post. I’ll include every item needed for each recipe. Don’t freak if it looks like a lot of items; once you start building your pantry, you’ll find you will already have a bunch of these items. For more tips on building a pantry, click on my meal planning tips! Remember to buy things when they’re on sale. For example, I only buy pizza dough when it goes on sale for 10/$10, I’ll buy 2-3 and freeze them until needed. Monday– Homemade pizza! 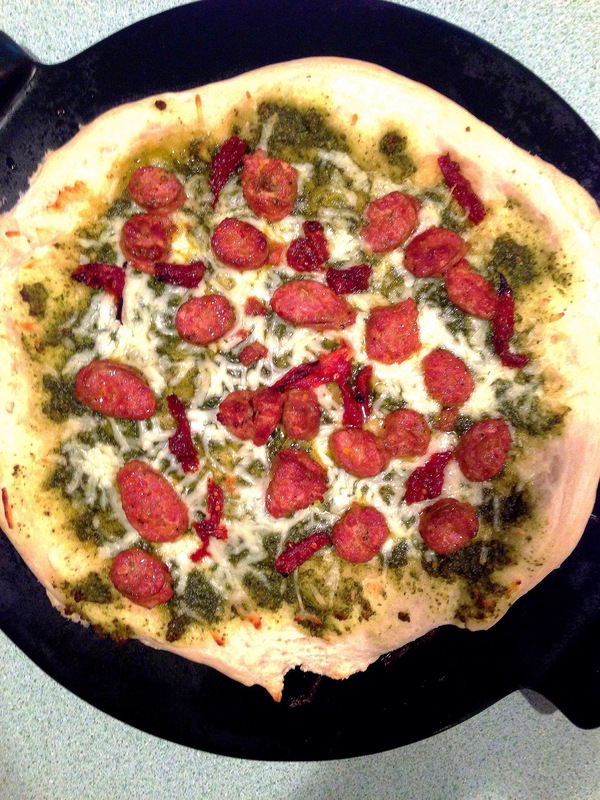 Margherita and pesto pizza with spicy chicken sausage. My sister came over for dinner because she wants to learn how to cook. For the next few weeks I’m going to be featuring a mini-series called “Cooking with Hope” featuring meals my sister and I cook together. To read more about this meal, click here! Tuesday– Chicken legs with sweet potato and pineapple. I found this recipe in the cook book One pan, Two Plates, by Carla Snyder. Combine 1 tsp of the parsley, all the thyme, garlic, and butter in a small bowl and mash it all together. Working with one chicken piece at a time, gently slide your fingers under the skin to separate it from the meat and push half of the herb butter under the skin, pressing it evenly over the surface of the meat. Sprinkle the chicken all over with salt and pepper. Add the shallot, sweet potatoes, 1/2 tsp of salt and a few grinds of pepper to the oil in the hot pan and saute until the vegetables begin to soften. Add the pineapple and chicken broth and bring to a simmer. Add the chicken and any juices, layering the chicken pieces on top of the potatoes. Transfer to the oven and roast until the chicken is cooked through and potatoes are tender, about 35 minutes. *Note if not using leg quarters, the chicken will cook faster, use a meat thermometer and insert into the chicken until it reads 165 degrees). Divide the chicken and potatoes between two plates and top with remaining parsley. Wednesday– Cheeseburgers with grilled squash and zucchini and baked beans. This is as easy as they come. Slice the veggies, season with salt, pepper, and olive oil and cook at the same time with the burgers. Thursday– Grilled chicken salad with roasted corn, black beans, scallions, and feta cheese with a honey lime vinaigrette. I’m very happy with this salad because I didn’t follow a recipe for the salad or the dressing! Heat small frying pan over medium heat, add corn, salt, and pepper and cook 3-4 minutes or until corn starts turning brown. Add to spinach. Mix all ingredients together and pour over salad. This will make more than enough, you can store the rest in the fridge and use on another day! Friday– Spaghetti with pesto, artichokes, and sun dried tomatoes. Once again I didn’t follow a recipe! This was a good week for that! I had the pesto I made in advance, click here for the recipe. Cooked pasta according to package directions, added artichokes and sun dried tomatoes. My sister, Hope, is a junior in college and will be living in a house next year with NO MEAL PLAN! I remember being in her shoes and being so nervous thinking, “What the hell am I going to eat! ?” She has the same fears and wants to learn some easy meals to make next year. 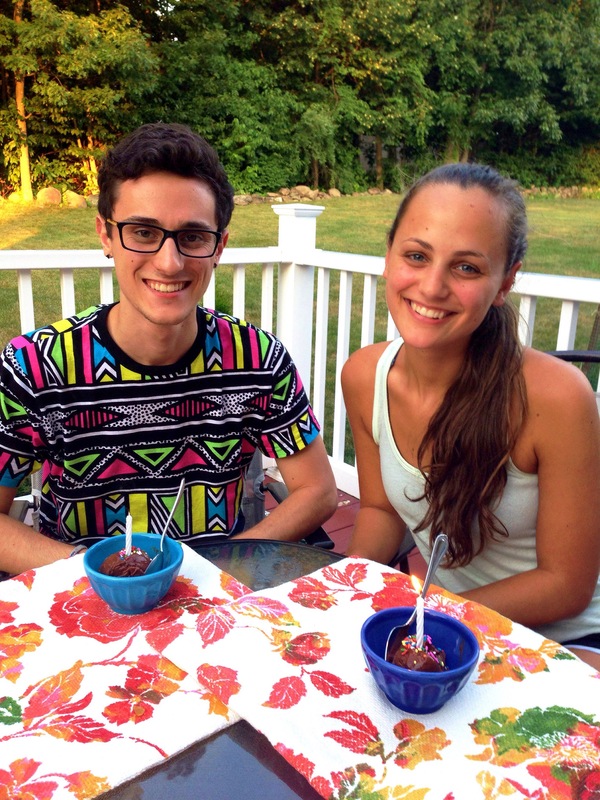 The Cooking with Hope series will feature meals we make together over the next few weeks until she leaves for school. The first meal is homemade pizza! 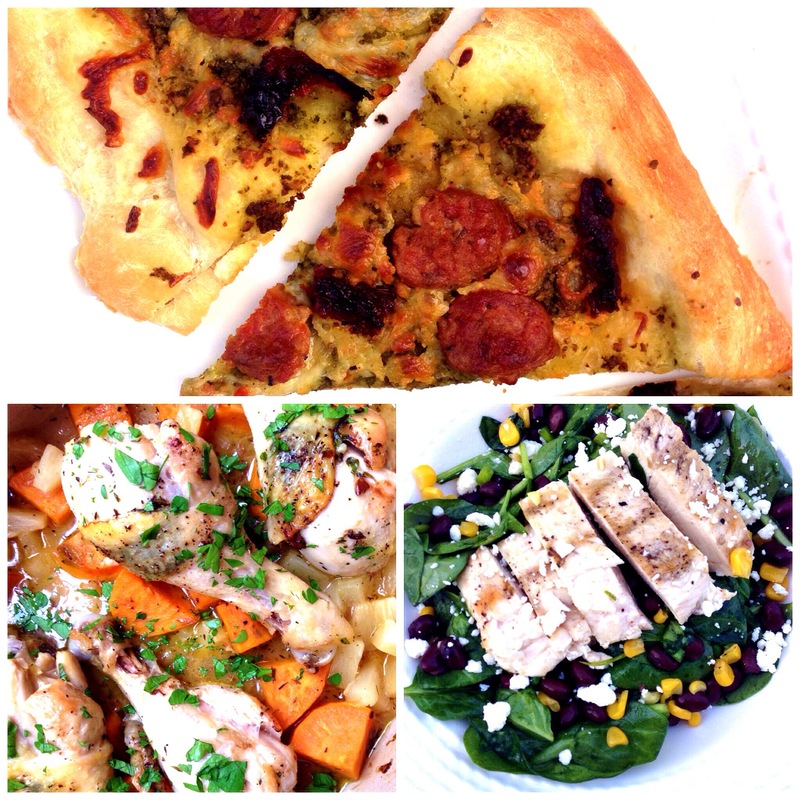 We made two pizza pies – the first is your basic Margherita pizza and the second was a pesto pizza with spicy chicken sausage and sun dried tomatoes. 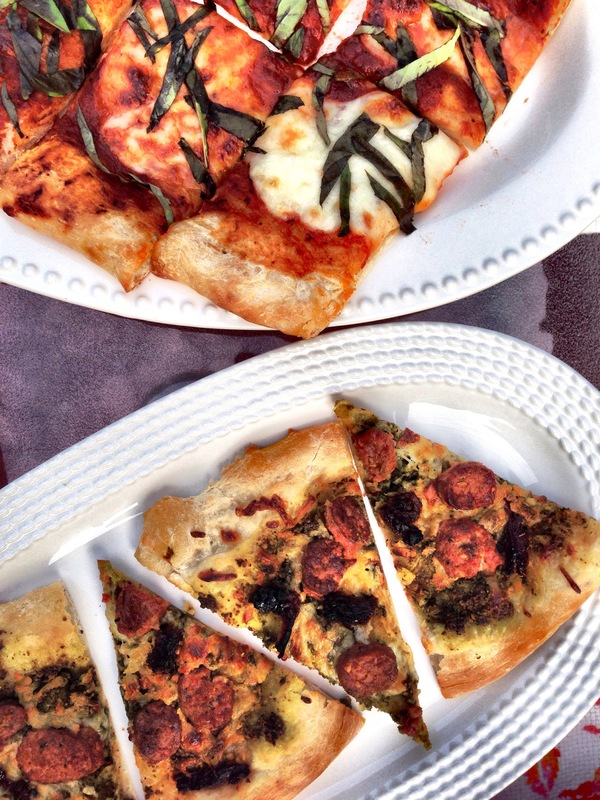 We experimented cooking the two pizzas by preheating one pizza stone, but not the other. And let me tell you, BIG mistake not preheating both of them. The preheated stone gave the dough a nice crispy crust! Once both pizzas were prepared, we cooked them together. Preheat oven to 350 and heat pizza stone for 15-30 minutes. I only preheated it for 15 minutes because I was too hungry to wait the full time, but it will make the dough even more crunchy! While the pizza stone is heating, drizzle some oil olive in a frying pan. Saute the chicken sausage until no longer pink in the middle. I used only two pieces and froze the rest. Spread a layer of pesto. Add your shredded cheese, then top with chicken sausage and sun dried tomatoes. Cook both pizzas together for 15 minutes or until the crust is turning brown.